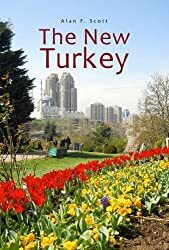 This review aims to re-evaluate the motivations for the regime change attempt and argues that the US exploited sharp pre-existing differences within Turkey’s military, elite, and society in order to instigate the coup for envisioned zero-sum geostrategic ends against Russia. This entry was posted in Christianic terrorism, military coup, National sovereignty, Turkish politics, US hypocrisy, US militarism and tagged Turkey, USA. Bookmark the permalink. Global Research is starting to sound like the Daily Mail, the National Enquirer or MSNBC. How low Michel Chossudovsky’s investigative project has sunk. My approach with all coups is to assume the CIA is responsible until it’s proved otherwise. That’s probably a fair assumption.